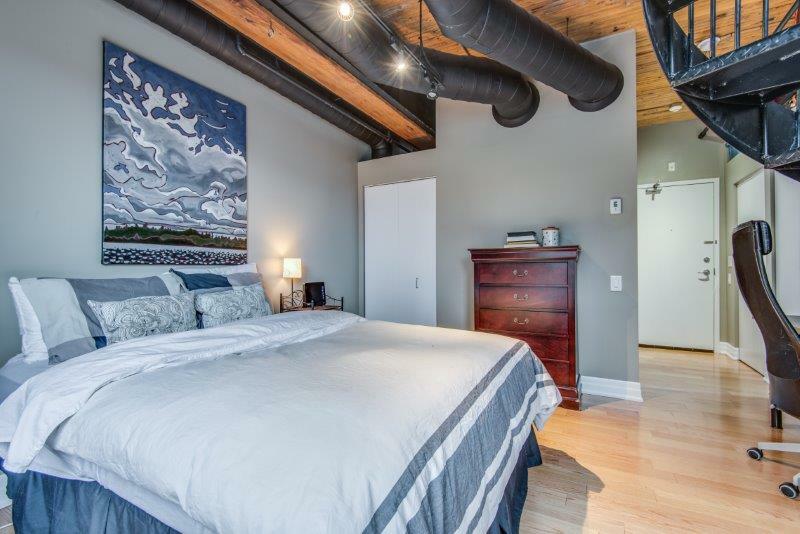 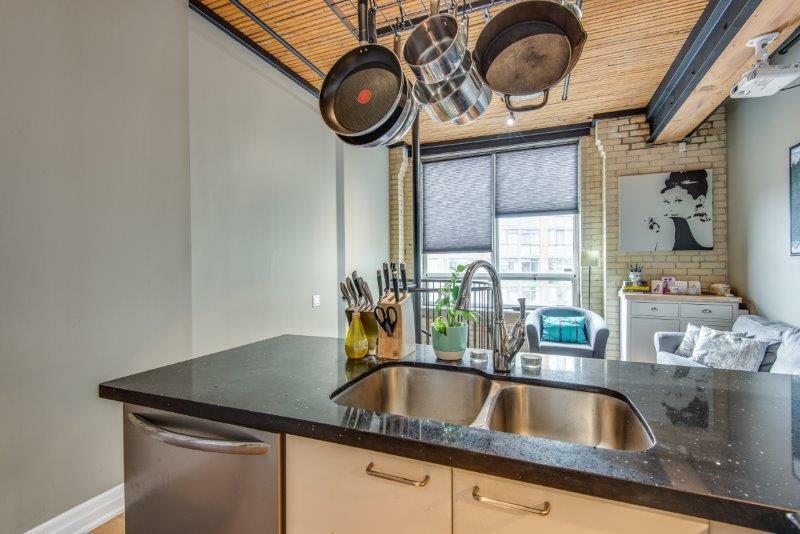 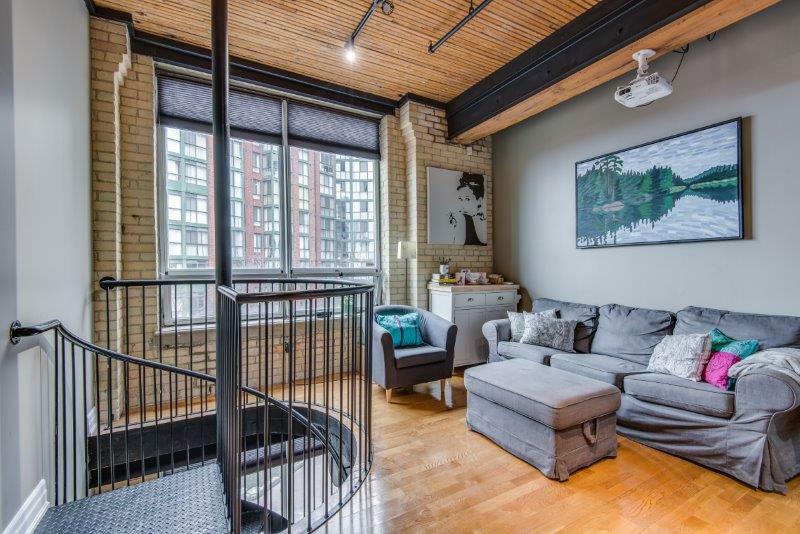 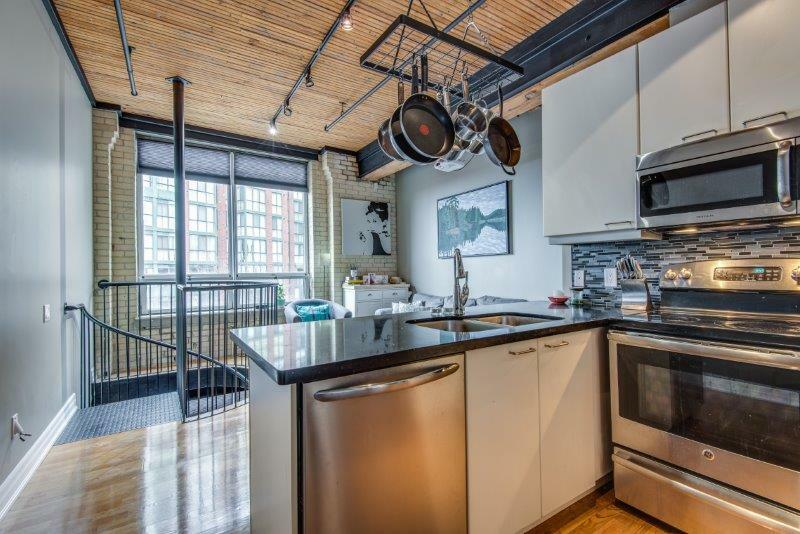 Here’s an authentic loft in King West’s Gotham, a former 1917 harness factory, that ticks all the boxes! 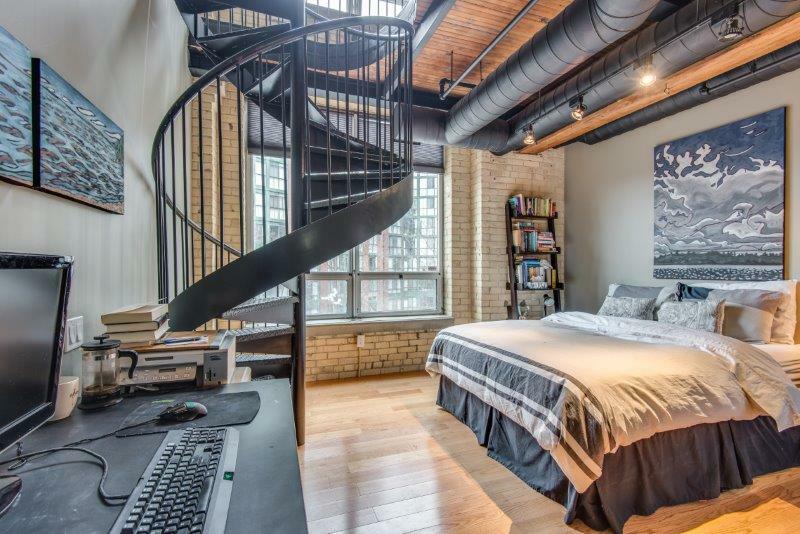 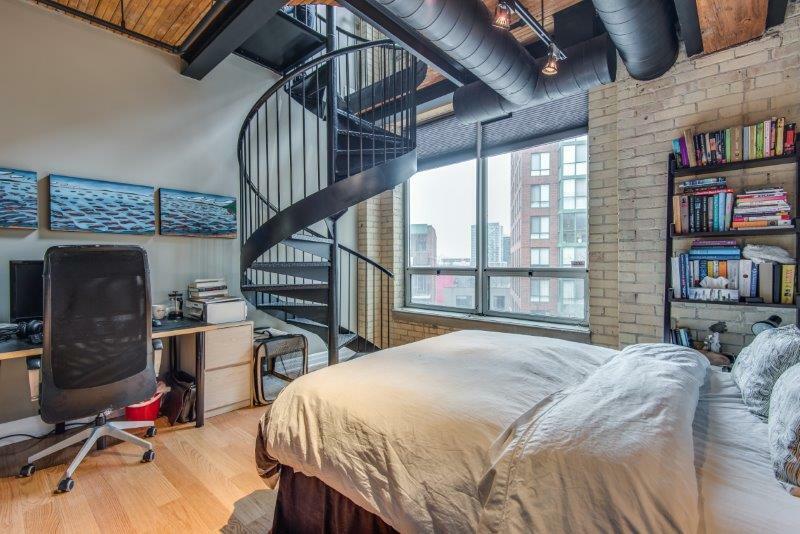 This unit has soaring ceilings, beefy wood beams, massive windows, exposed brick, an industrial metal spiral staircase. 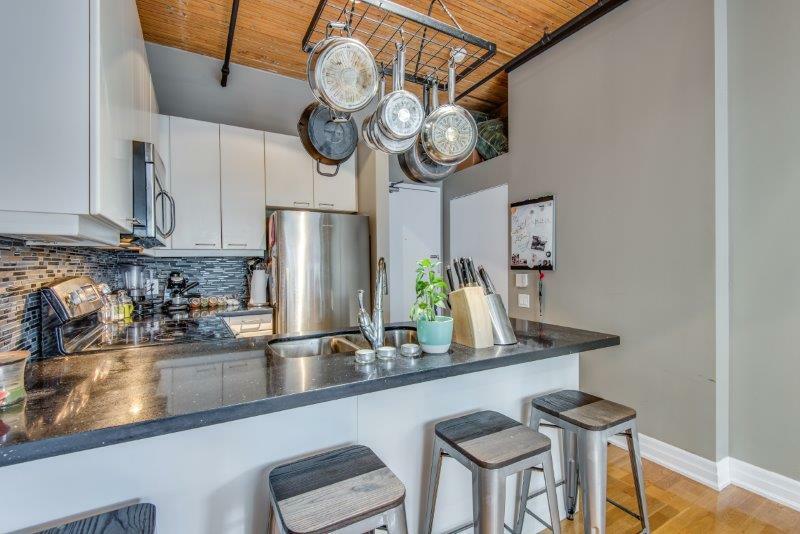 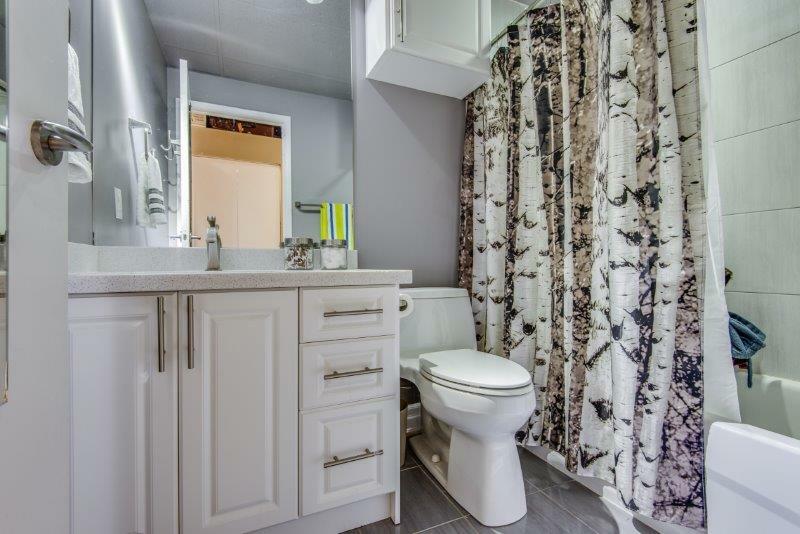 This is a two-level dream space with a lower bedroom retreat, wood floors throughout, an upgraded crisp, open concept kitchen with a granite breakfast bar, renovated bath and parking. 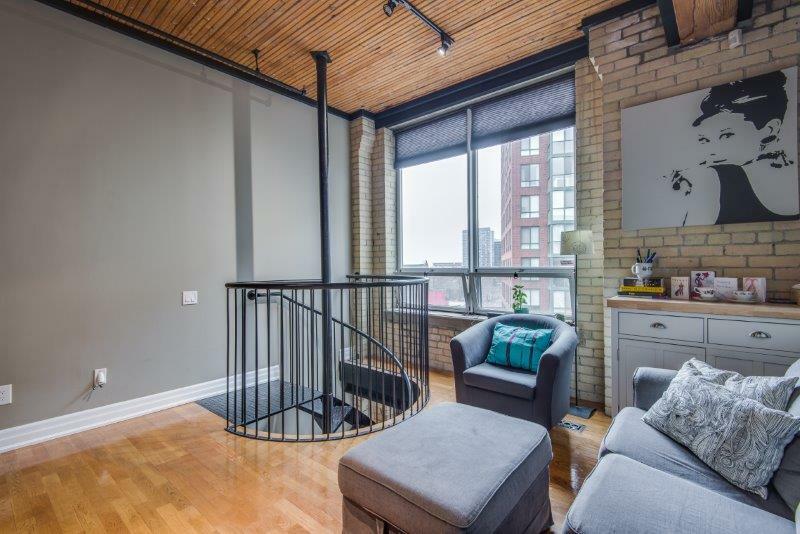 This building is steps to Queen West, transit, shopping, the lake, parks and more! 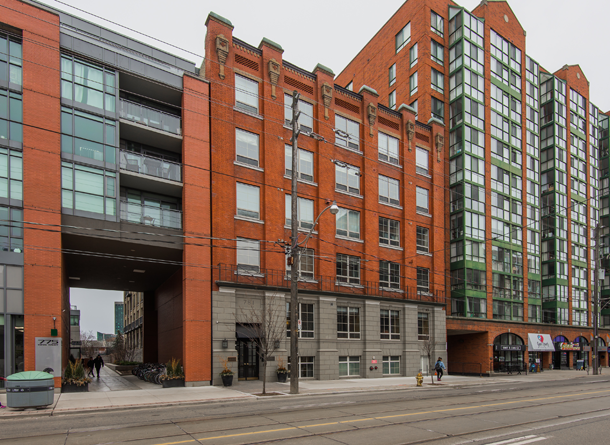 There’s a transit score of 100 and a walk score of 94!